Who doesn't need a little love? And guess who's always there to give it? That would be YOU. Self-care has been a hot topic lately, and a huge part of that is showing yourself a little love. 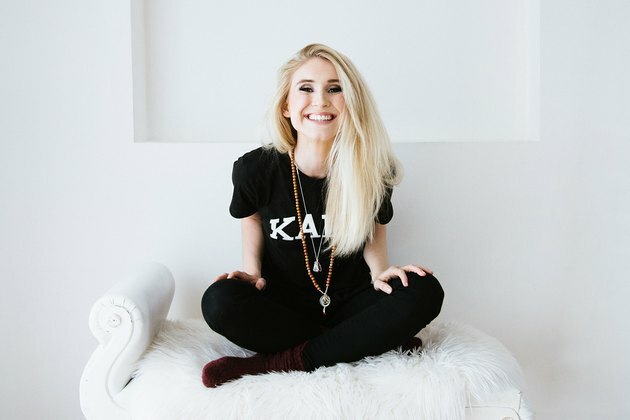 In honor of Valentine's Day, we've teamed up with Sophie Gray on an exciting new challenge that will take you on a journey of self-love. 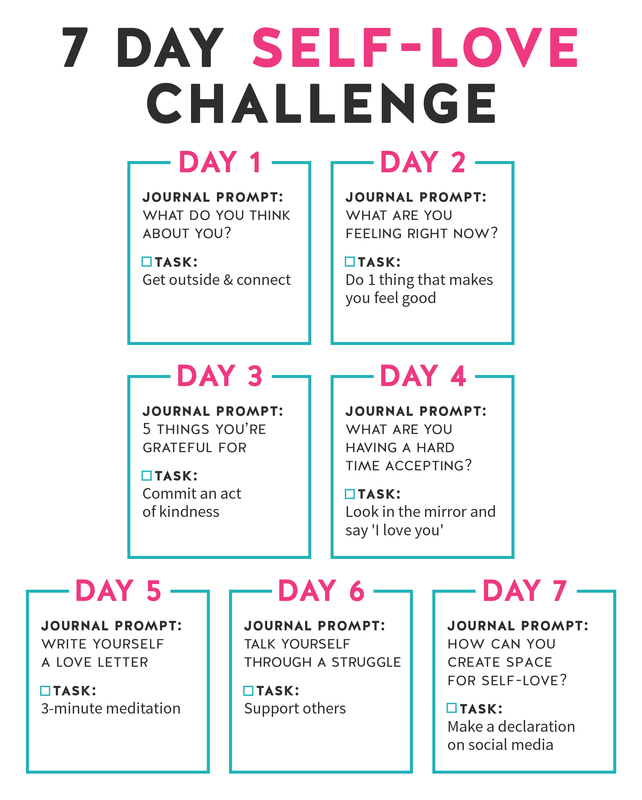 Sophie has created a 7-day challenge with two parts: One is a journaling topic and another is an activity that is meant to inspire confidence and help you feel more connected. Why journaling? It's been proven in a research study released by Southern Methodist University that writing about your deepest feelings improves mental and physical health. We're starting this challenge on Wednesday, February 8! To join the challenge, bookmark this page and come back each day to find out all about that day's journal prompt and task. We've also created a handy checklist to print out or save. Take a loving selfie after you complete each activity and post it to Instagram with the hashtag #7daysofselflove and tag @wayofgray and @livestrong_com. Try answering these questions: What do you think about you? Do you like yourself? What exactly do you like about yourself? If there are parts of yourself that you're not happy with, write down each one and try to reframe it to something positive. For instance, if you don't like the fact that you're very sensitive, write about how being sensitive can help you be a more empathetic person and sensitive to other people's feelings in addition to your own. Get outside, leave your phone, and connect with yourself and nature. Be mindful of your breath, slow down, take deep breaths and connect. You could go for a walk or simply find a nice place to sit and take three deep breaths. Stay present with the moment. Notice where you are sitting and what the surface feels like or where you are walking and how the ground feels under your feet. Notice the sounds around you but don't judge them or absorb them. Take a moment to listen to your own breath rising and falling. "Name it to tame to it," the saying goes. The process of naming your emotions can help defuse them. Start your journal entry by writing down the specific things that trigger positive feelings and the events that trigger negative ones. Then, journal about how you can turn the negative around. Write about what you can do in the moment to bring yourself back to the positive. Try answering these questions: When things are going well, how do you feel? What does your life feel like when things are going well? When things aren’t going well, how does this feel? Name these emotions. 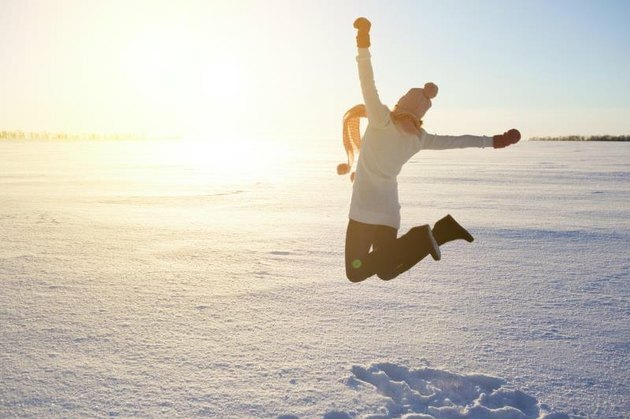 Now that you know what triggers a positive emotion for you, make time today to do the one of the things that makes you feel good. Take the this time for you. Journal about 5 things you’re grateful for. By regularly practicing gratitude, you’ll move to this mindset more and more. There’s always something to be grateful about. Try answering these questions: What happened today that you are grateful for? What are you looking forward to tomorrow? Who are the people (or animals!) you are grateful for and what is it specifically about your interactions that you appreciate? Do someone to make it on someone else's gratitude list. Hold a door open for a stranger, compliment someone, or simply listen to a friend in need. Research shows that volunteering not only helps with depression, it also lowers blood pressure, potentially reducing your risk of heart disease. Bring that same sense of connectedness into your everyday life with a simple act of kindness. Create a list of things you’re having a hard time accepting about your life. Example: I don’t like how anxious I am. I totally and completely accept my anxiety. I understand this doesn’t determine the type of person I am and regardless of how I feel, look or what I experience, I’m deserving of my own love. Write this statement out for each thing you wrote down. Then, read it out loud. Repeat this 3 times, breathing in between. Observe how it makes you feel. Profess your love for yourself in a love letter. Be descriptive, be romantic and show yourself that the strongest, most fulfilling relationship is the one you have with yourself. Find a space to sit or lie down quietly and comfortably. Put one hand on your heart and the other on your belly. Take three deep inhales, exhaling through your mouth, and then let your breathing rise and fall normally. As you inhale, imagine a healing and energizing white light filling your body, making you lighter. With each exhale, feel your body relaxing into its position, growing warm and supple with the white light. This light is the love you have yourself. Starting with the top of your head, begin scanning down your body, sending that loving, healing white light to each part of your body: your forehead, back of your eyes, jaw, neck. Follow your body's lines all the way down to the tips of your toes. When you reach your toes, begin to wiggle them. Then wiggle your fingers. Wrap your arms around you and give yourself a big hug. Slowly come back into your body with each breath. Do this meditation any day, any time. It's always there for you, just like you can be for yourself. Or, check out Sophie Gray's 3-minute meditation or try this guided meditation with Veronica Krestow. Reach out to important people in your life letting them know you’re there for them. By being there for ourselves, we can truly be there for others. How can you create space for self love every day? Journal about how you’re going to commit to showing yourself love and appreciation on a daily basis. Try listing the daily or weekly routines in your life that make you happy and the routines that make you unhappy. Cross out the ones that make trigger negative emotions and, underneath them, write down a self-love routine that will make you feel great. Maybe it's a daily meditation with a self-love mantra like "I am worthy of love," or maybe it's a weekly "gratitude for me walk" where you take a 10-minute stroll and reflect on all of your fantastic attributes and blessings. Take a moment to place your hands on your heart and make a promise to yourself for sticking with what you have learned in this challenge. Congratulations! You've completed the self-love challenge. Now, you just have to take these new feelings of confidence and connectedness and keep manifesting them. Throw down the gauntlet and post to social media, declaring you’ll be taking care of yourself from now on. Use the hashtag #7daysofselflove and tag @wayofgray and @livestrong_com. Sophie Gray, more commonly known as Way of Gray, is a self-love enthusiast trained in holistic nutrition, personal training and meditation. 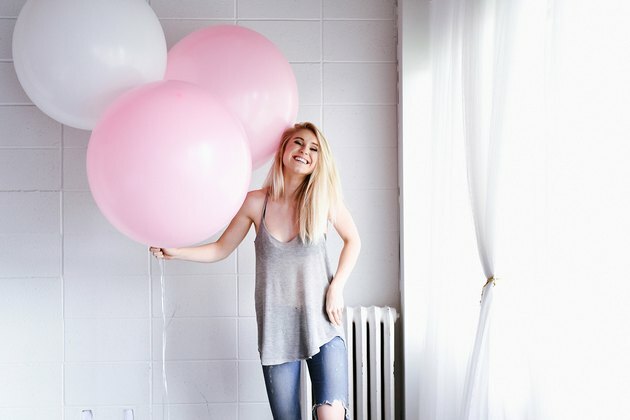 She offers simple and sustainable advice for being your happiest, freest, and healthiest self. Through her various social media platforms she promotes the importance of accepting yourself and loving who you are. Have you tried journaling? Has it helped you? What are ways that you cultivate self-love? Try these activities and tell us about your experience. Share your thoughts in the comments!